Let us help you find your Perfect Wedding Dress, match your Bridesmaids with your bridal dress and help you shop for Pageboy outfits. 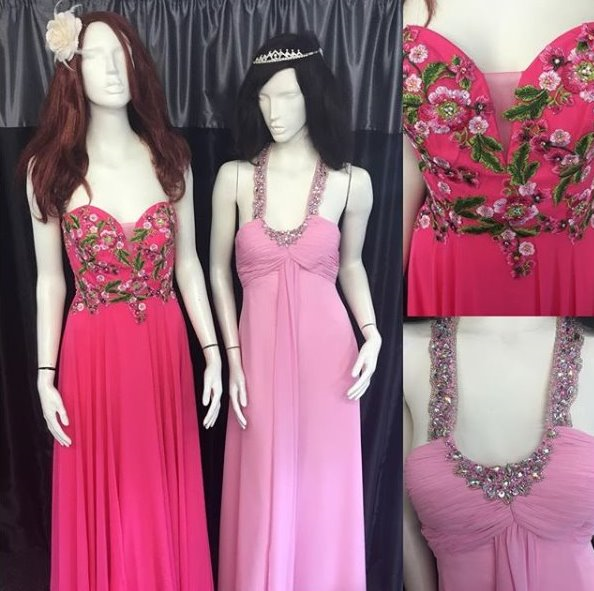 We also have Prom Dresses and Evening Gowns available at Pams People – Dresses for Special Occasions in our shop in Camborne, Cornwall. 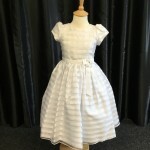 Dresses available for all your special occasions for you to browse and try with matching accessories. We provide a personal one to one service. Make an appointment at a time to suit you and enjoy your own uninterrupted time selecting and trying on various garments with accessories. Alternatively, we have a drop-in every Saturday between 10am and 4pm. 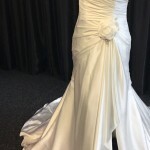 Bridal Wear by Pams Gowns Pams Gowns stock a selection of Bridal Wear offering you a personal private fitting service. Our main Shop is just off the A30 Camborne West, Cornwall. Come and visit our well stocked Dress Shop at Race Farm, Treswithian, Camborne, Cornwall. TR14 0PU. Pam’s People – Dresses for Special Occasions, have hundreds of dresses available in stock all at unbeatable prices, ranging from £50 upwards. 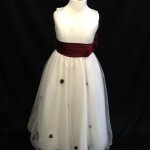 Dresses for Special Occasions include Bridal, Evening, Ball Gowns, Alternative Bridal Wear, Bridesmaids Dresses, Prom Dresses, Mother of the Bride, Christenings, Cruise Wear, Confirmations and Party dresses. New stock is constantly arriving to replace ever increasing sales. Take a look at our recent stock shown below. To complete your outfit we also carry a wide range of shoes, bags, gloves and jewellery. Telephone Pams People – Dresses for Special Occasions for a private, no obligation appointment to view our extensive collection. You won’t be disappointed! Or we are open every Saturday between 10.00a.m. – 4.00p.m. 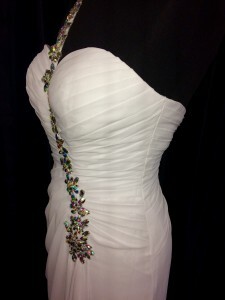 Enjoy your own uninterrupted time selecting and trying on various special occasion garments with matching accessories. We keep a record of sales so that no identical dresses are sold for the same event in Cornwall. 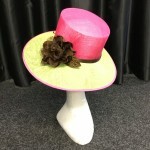 Stock is continually being renewed with the latest fashions and styles. There is also a selection of half price or less than half priced dresses and shoes available in our Shop. If you are interested in arranging a fashion show we can arrange this free of charge for schools, charities and other organisations.